Just found this picture of one of my early frames. This one is from sometime in 1985-1986 based on the brake bosses. It is a mountain frame with a 24" rear wheel, 26" front wheel. 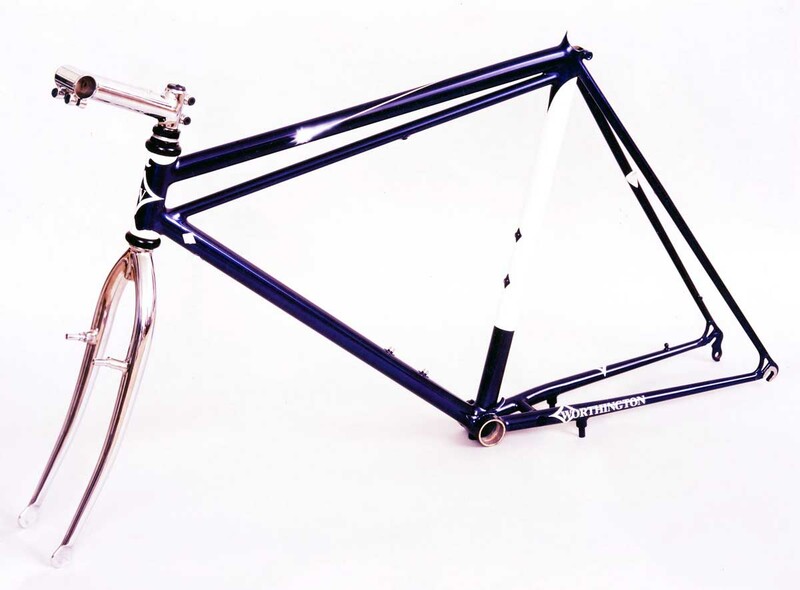 It also has a filet brazed unicrown fork and a precursor to modern clamp on stems - both are chrome plated for this bike. Looks like the stem is around 12-13cm or longer! This was also using brand new Suntour Rollercam brake bosses mounted on the bottom of the chainstay. These had just been introduced by Suntour (licensed from WTB Cunningham Design). I remember visiting the USA headquarters for Suntour in Marin sometime around 1991 when they introduced the Microdrive chainrings to select OEM customers and the Press as a upgrade to XC-Pro - the best part of the trip was shooting water bottle rockets off in the field next to their building.